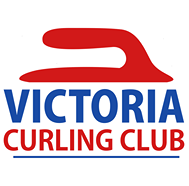 Due to the ongoing winter (severe winter, for Victoria) conditions, the decision has been made to keep the Club closed today – Tuesday February 12. All league play, rentals, the Junior Program, Academy, darts and pool leagues have been cancelled. Good Fellows is closed. We do expect to open and operate a full schedule tomorrow, after allowing a day for emergency personnel and road crews to clear access around the city. As always, stay tuned to this space for further updates as events warrant. And if you are curling in a league at the Club, your league reps will also be in touch. A programming note and reminder for this weekend as well: please note that the Can-Midwest Bonspiel is in the club – there is no regular curling or practice ice on Friday/Saturday/Sunday. Thank you again for your understanding – and we hope that everyone can enjoy at least part of their day in the snow.